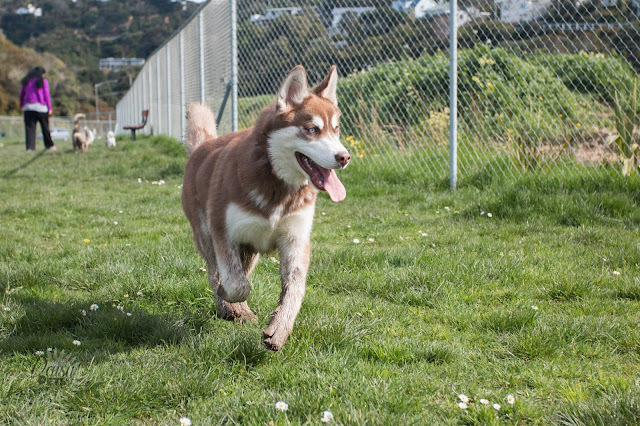 When you have a new puppy it is a known struggle to allow them off leash for a while, especially if they are a husky puppy. They definitely seem to have a mind of their own. This past weekend I got to spend a couple of hours with Mowgli, who is my friends four month old husky puppy. He is a gorgeous boy, with loads of personality but he really choses when and where he listens. This has meant it has been hard for my friend Scott to get some vital off leash exercise for Mowgli. Hey! Diego, being a Staffy, has the gift of a good pull on him. Generally after a walk my leash arm is aching in the bicep and over time I do think my right side is a lot more muscley than my left. I had been meaning to teach Diego to heel, but never found the best opportunity. When I had time to walk, I didn't want to be doing a dawdle along the road, I wanted to go adventuring and get all Diego's energy out. This is probably a lazy excuse, and I still do plan on teaching Diego a respectable heel (on a normal collar) sometime soon. In the meantime though, Joshua from Wolves of Wellington recommended I try the Linden Harness by Wildebeest. 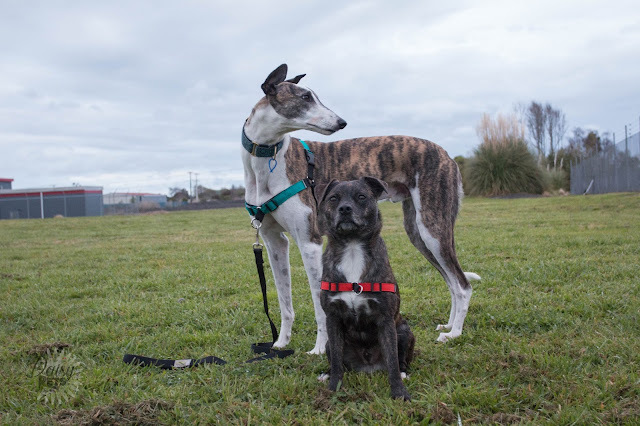 He has been using it with Willow ever since she was a puppy, and for such a large dog, she behaved amazingly on our walk. With that in mind, I purchased a harness for Diego, and mum got a harness for Chico. Hey! An important part of dog ownership that a lot of short haired dog owners seem to forget is the importance of grooming. Short haired dogs are often over looked for this task as they do not get knotty like their long haired brothers. However, it is still a duty that needs to be done to keep you and your dog healthy. When you are brushing your dog, you are up close and personal with him/her. You will be able to look and feel over your dog for any injuries or changes in their body. A lot of smaller cuts and scrapes can go unnoticed over time if you don't regularly check for them, and these can lead to infections. 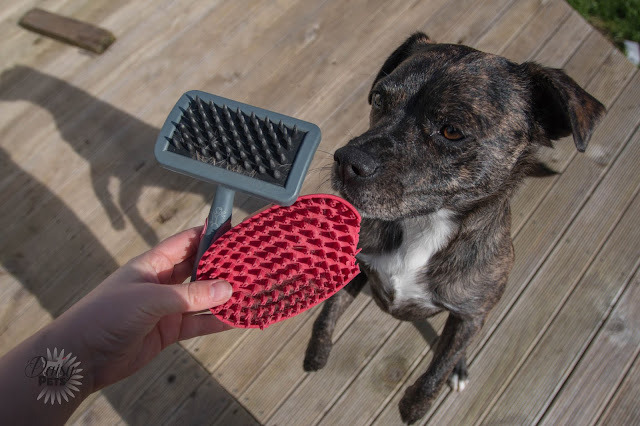 Another thing you will be able to feel is any unusual lumps which can be a sign of something worse inside of your dog, and be able to watch them for signs of growing each time you brush your dog. It is also a good opportunity to get a feel for your dogs weight, and how they are holding their weight. Hey! For my Birthday this year, instead of getting me a present my dad thought it would be so much cooler to go on an adventure. I have to agree with him, and now every time someone has a birthday I want to go on adventures, and make memories instead of giving them a physical present. So for my birthday, we stayed in Fielding, and went on a horse trek at Table Flat Trekking. Dad, ever the deal hunter, looked around for a cheap deal on a horse trek, and then tried to find an area that was between both of us (Him, and his partner live in Rotorua, I live in Wellington). That is how he came across Table Flat Trekking and it turned out to be an amazing choice.